I’m not huge on reading contemporary novels, but lately I’ve been feeling a pull to branch out and give the genre another shot…especially since this time of year (summer) is when I find my Goodreads feed littered with them. Everyone else seems to be enjoying them for one reason or another, so let’s see what all the fuss is about. So I choose three contemporary novels that were highly rated from my GR feed, closed my eyes and pointed. And I began, hesitantly. 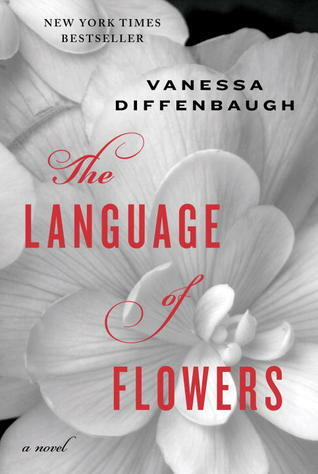 The Language of Flowers was not only surprising, but it was GOOD. Really good. The idea that an old language that uses plants to send messages was incorporated into the story was initially what put this novel on that list of three to begin with. How cool! And maybe plants aren’t your thing….the author tells the story of this old time secret “code” in a way that kind of makes you want to nerd out with the characters who are using it. It’s quite fascinating if you give it a chance. As for the MC and her story, I found myself relating to her thought process in some ways, which gave me reason to rethink my overall opinion of the genre. Being able to relate to a character, or at least connect, is most of the fun of reading right? She is a quiet loner, kind of wild, and super distrustful of humans in general. Having a background in the foster care system and one too many bad experiences to boot, she has every reason to behave and think the way she does. The author gave the MC a voice that can be relatable to so many of us in that she is constantly overthinking every. single. thing. And as the reader gets invested in our MC’s life, it gets really easy to start feeling frustrated with her, only to feel guilty about being frustrated with her a page or two later. She has a personality that reminds me so much of a feral animal: big, wild eyes that dart back and forth, body postured to run at any second. She has a way about her that makes me think of an abused shelter dog that has been adopted into a loving family, but is nowhere near ready to let its guard down, sleeping with both eyes open and just genuinely uncomfortable not being alone. Just for the record, animal behavior is something I can nerd out to, in case you are reading this thinking I’m a terrible person for comparing a human being to a feral dog. This is just another aspect of the novel that really caught my attention AND held my interest. The ending was super satisfying. NO SPOILERS, just saying. I really enjoyed Vanessa Diffenbaugh’s writing style. I would recommend this novel to those who like something kind of dark and delves a bit into the world of psychology, although that may just be the way I interpret it. If you give this novel a go, I really hope you enjoy it! I certainly did.